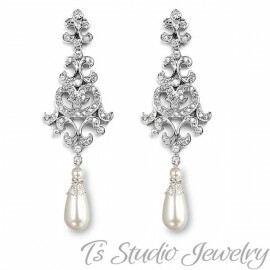 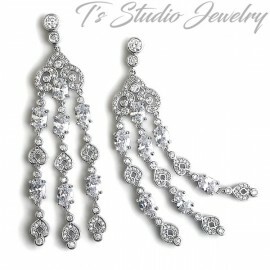 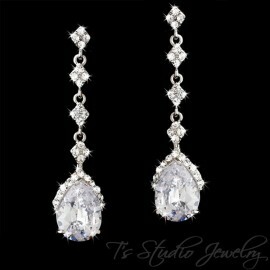 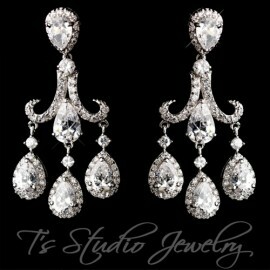 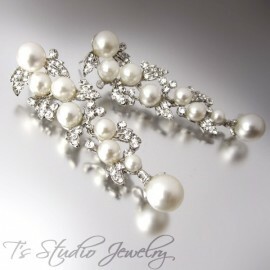 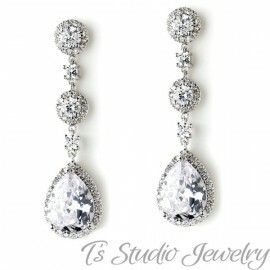 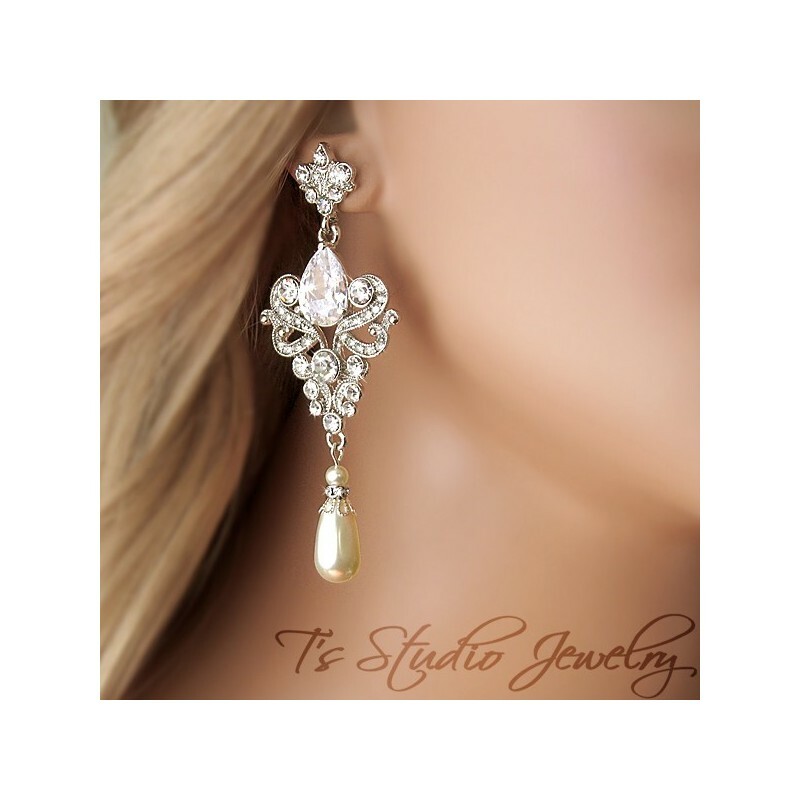 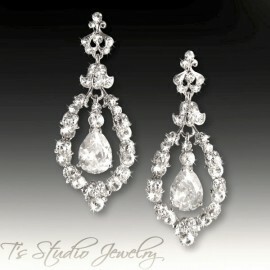 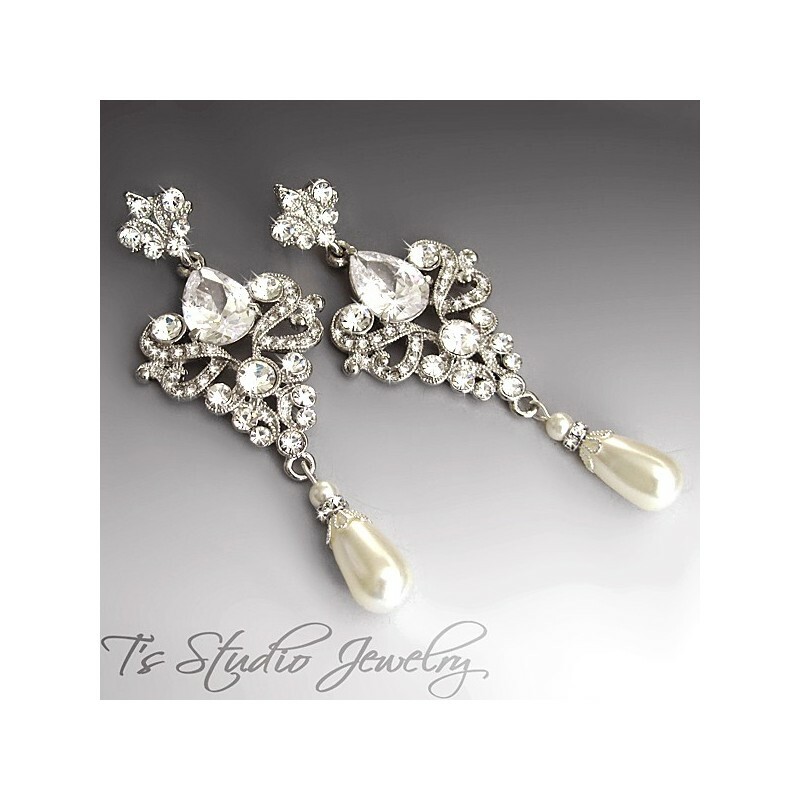 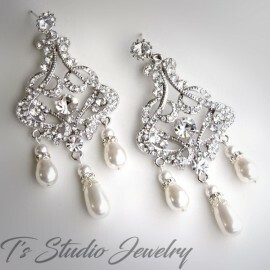 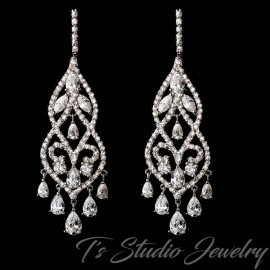 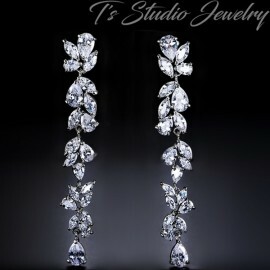 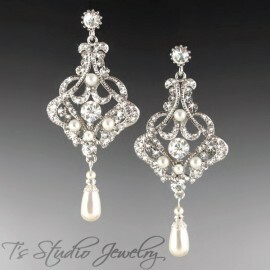 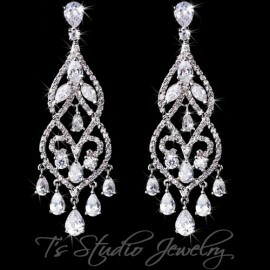 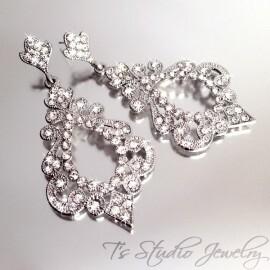 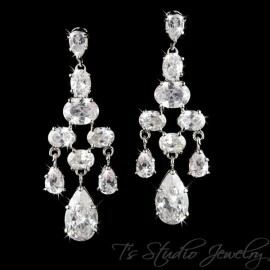 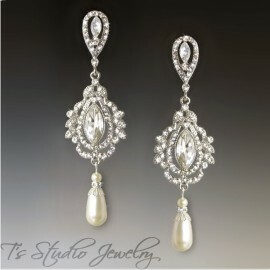 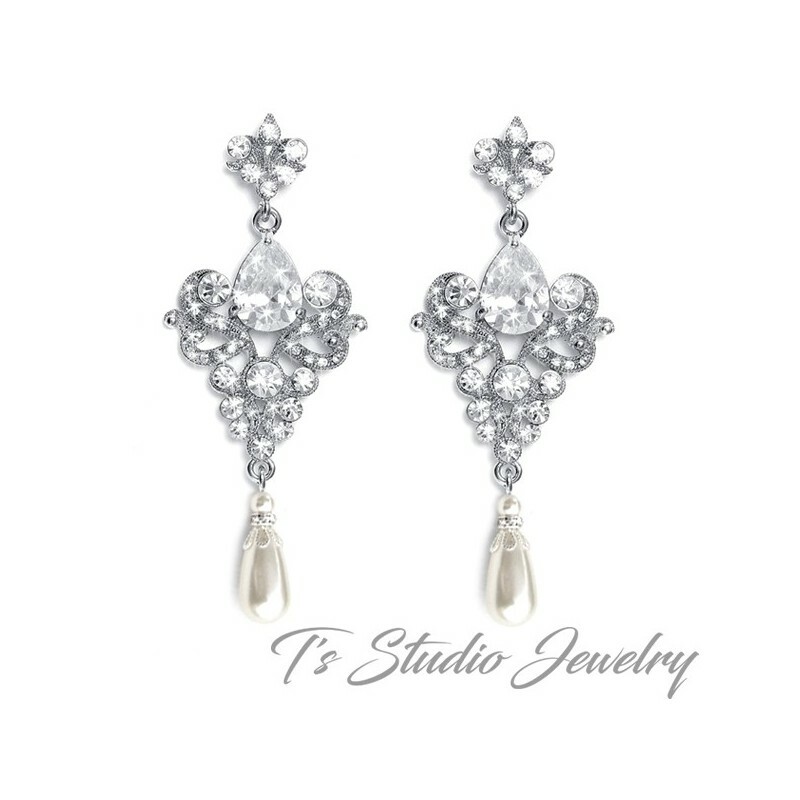 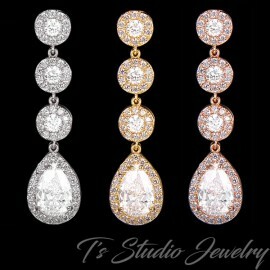 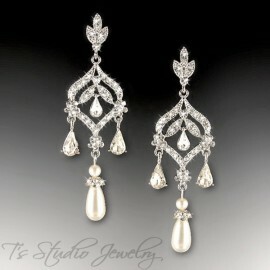 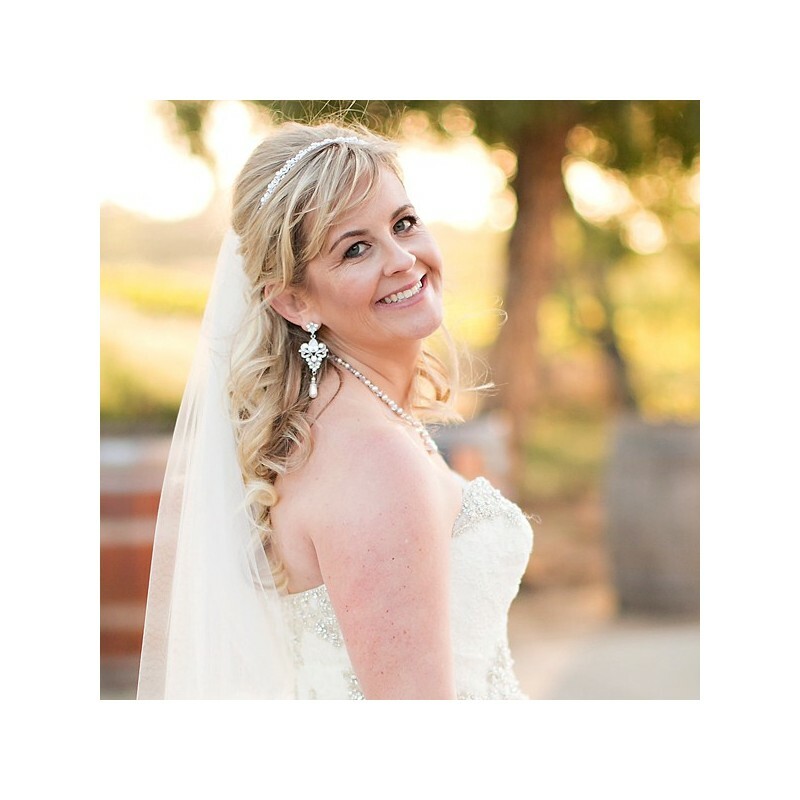 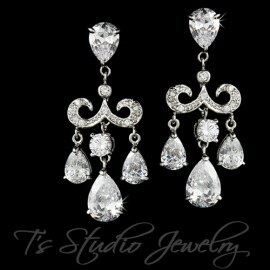 These beautiful silver chandelier earrings with clear pear shaped cubic zirconia are gorgeous for any bridal gown. 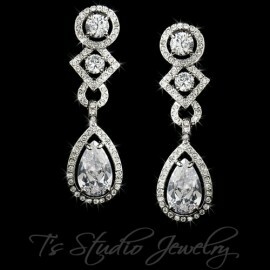 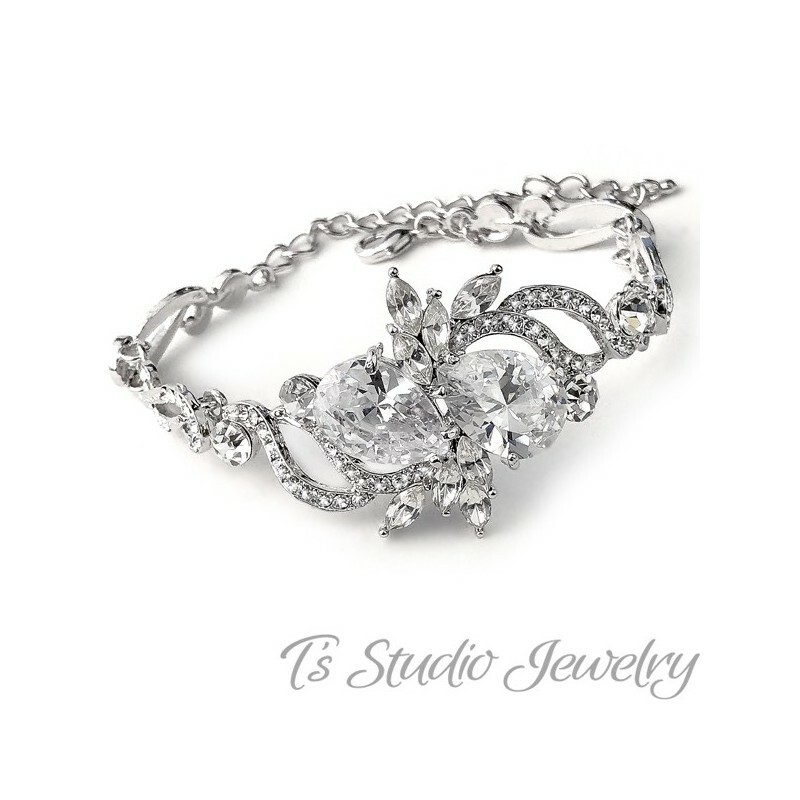 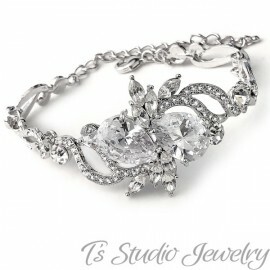 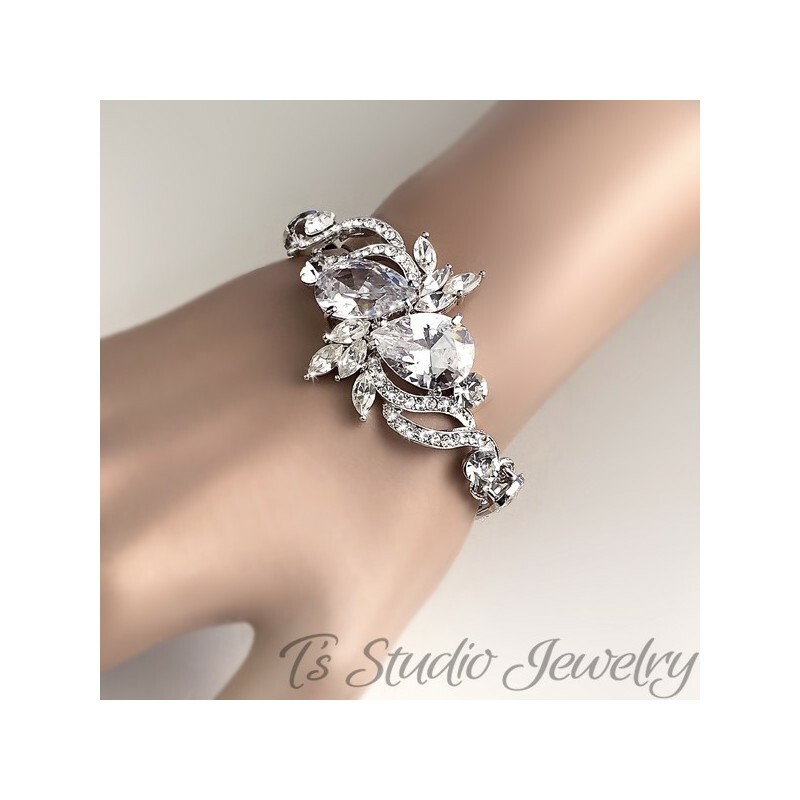 accented with smaller CZ stones and Swarovski teardrop pearls in white or ivory. 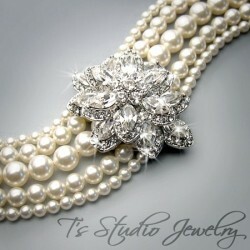 Great experience..fast correspondence and delivery !